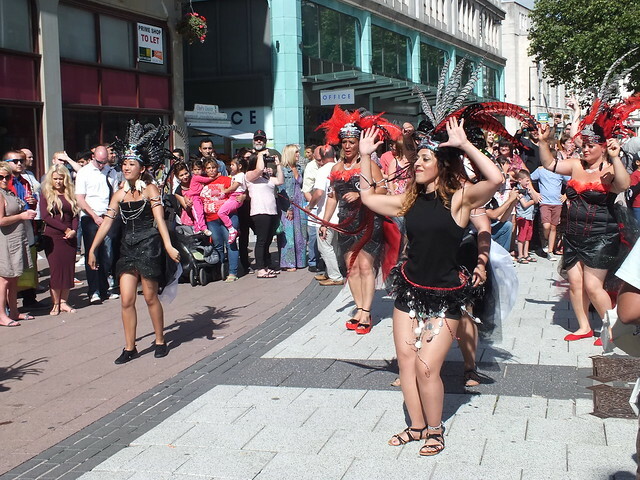 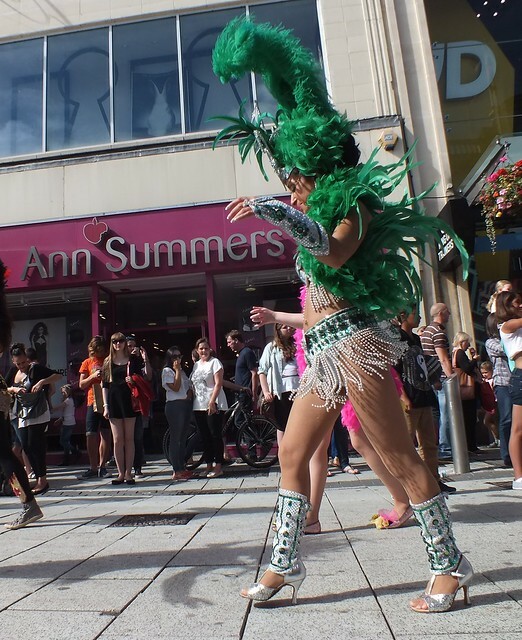 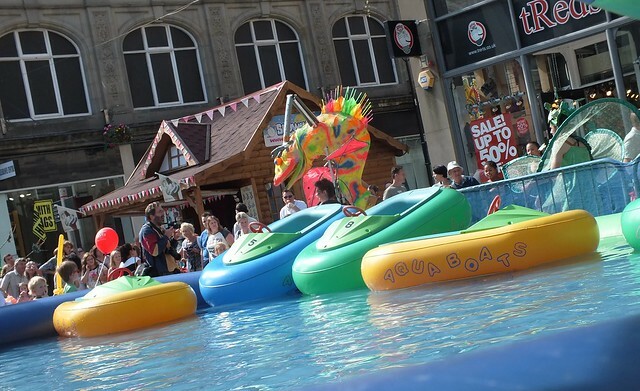 The sun was beaming, the streets of Cardiff were brimming with Saturday shoppers and many weeks of preparation had gone into making this year’s Swica Carnival a total success. 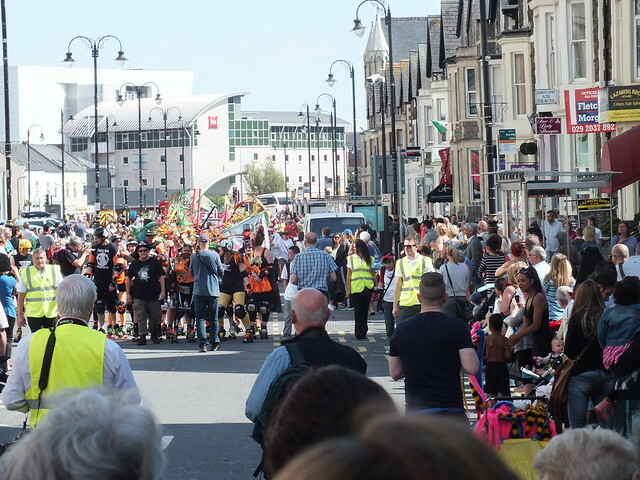 Deviating from it’s roots in Butetown this year the procession began from The Atrium and began it’s lengthy journey around the city centre via Churchill Way. 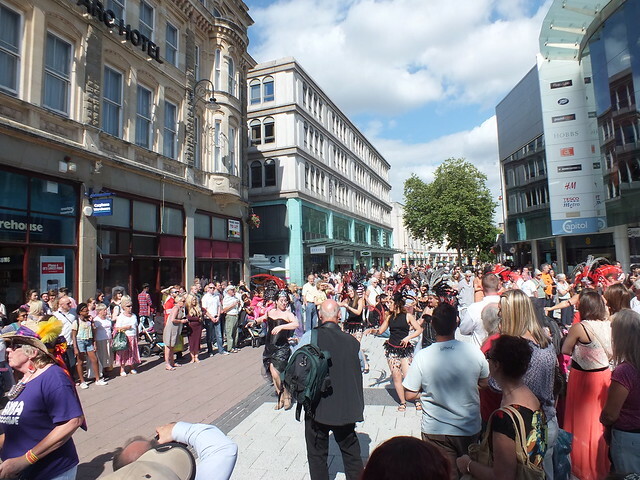 Moments after 3.30pm the wall of sound could be heard by the awaiting crowds gathered around the bars of Churchill Way with shoppers also stopping to view the spectacle pass by. 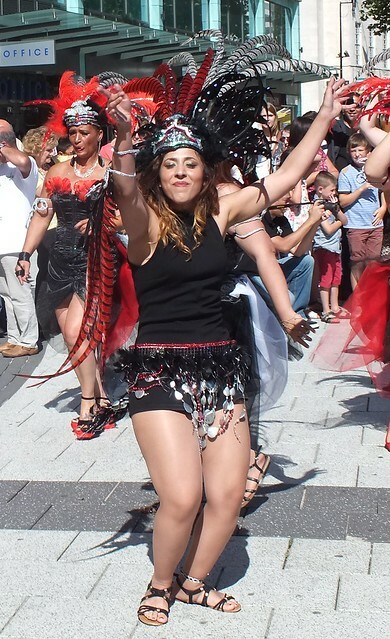 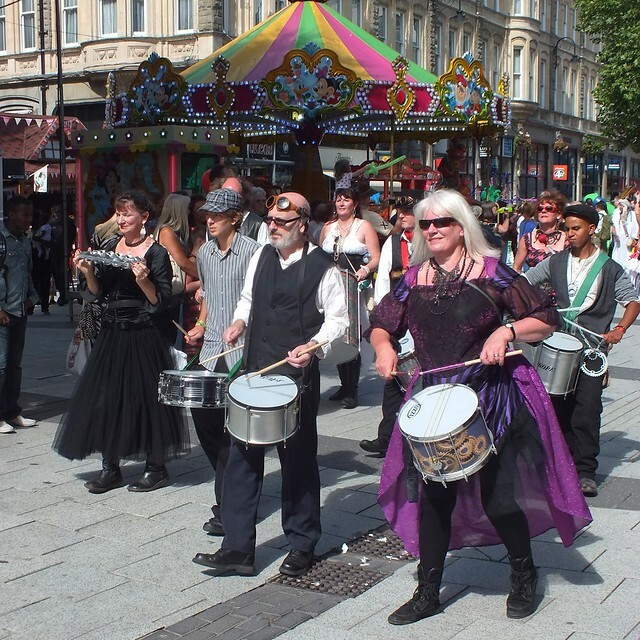 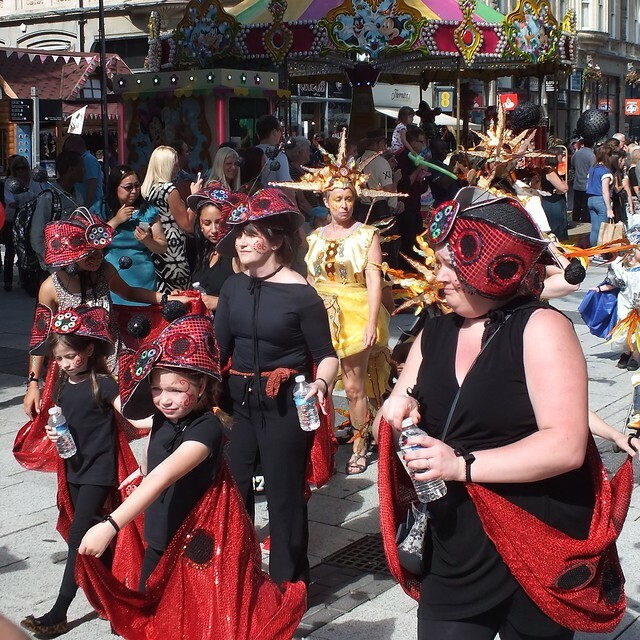 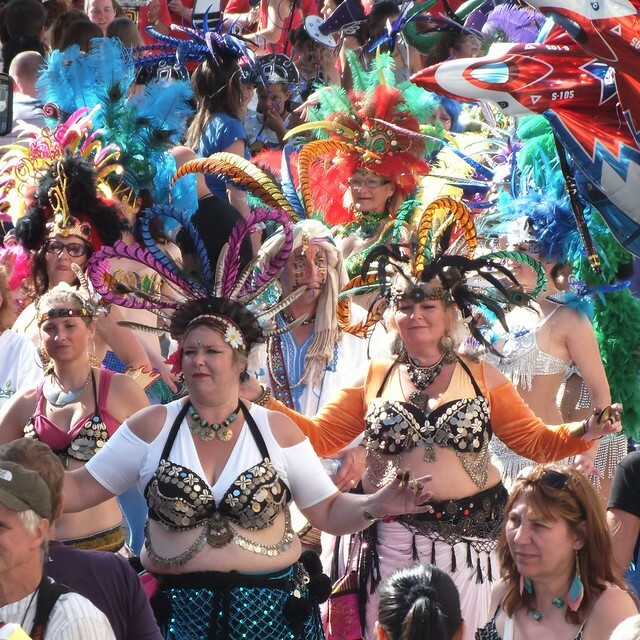 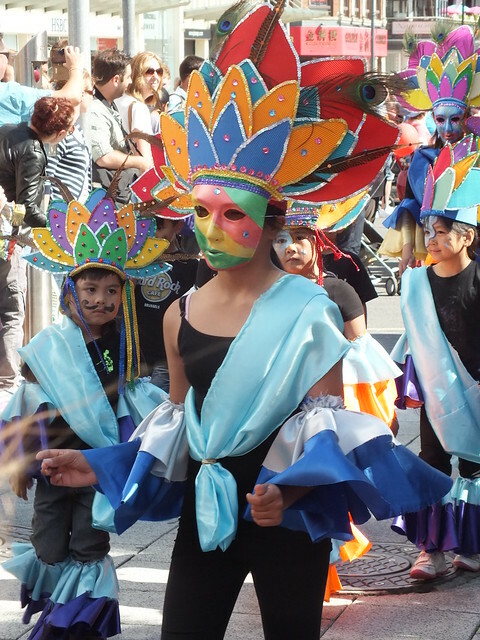 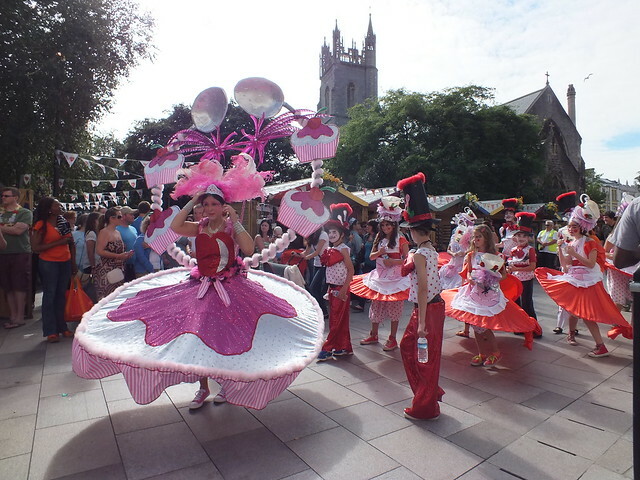 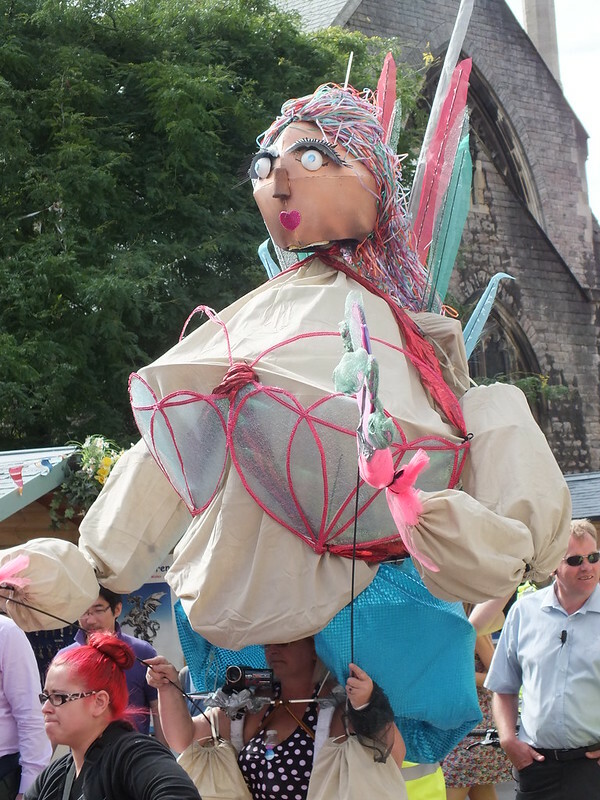 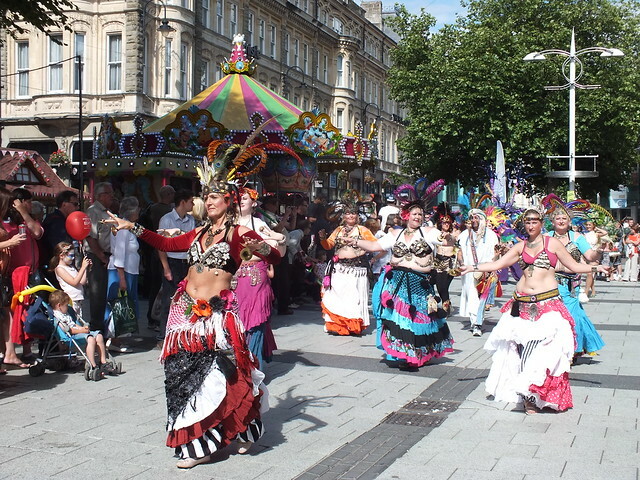 The South Wales Intercultural Community Arts (SWICA) Carnival is a celebration of the multiculturalism of the area via the medium of art produced by the people OF Cardiff FOR the people of Cardiff. 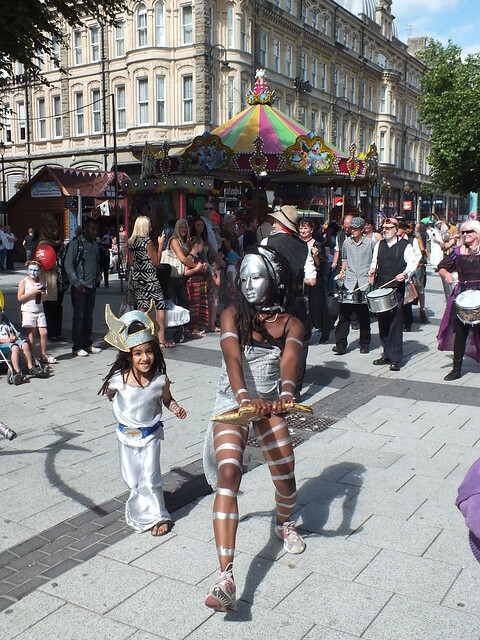 SWICA is dedicated to be celebrating the cultural diversity of the region through creating new arts opportunities to be enjoyed by everyone. 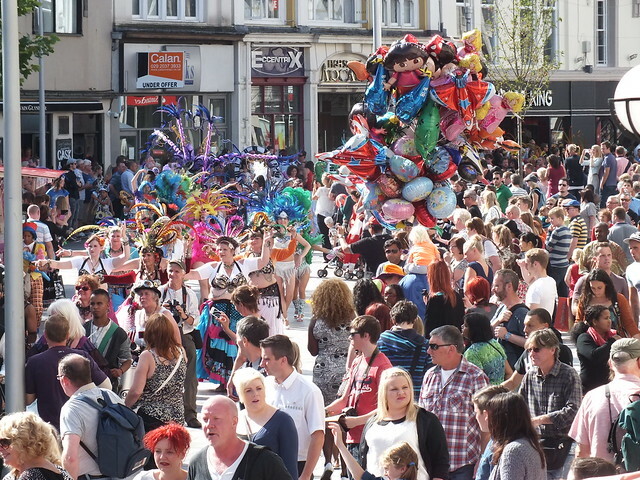 Now in it’s 24th year the popularity of the carnival has grown and grown with hundreds of people now taking part and thousands more turning up to watch it. 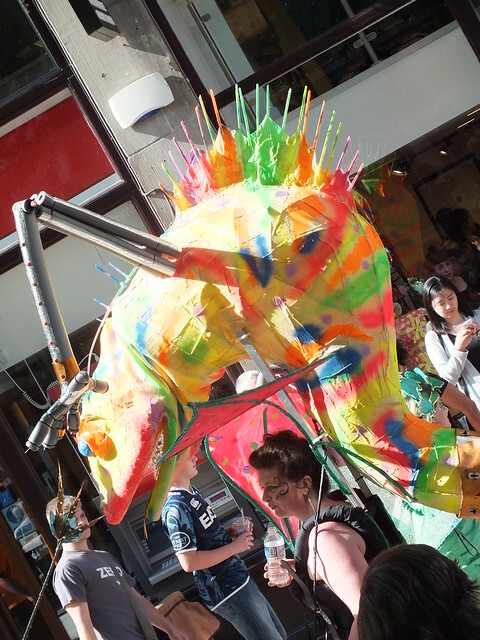 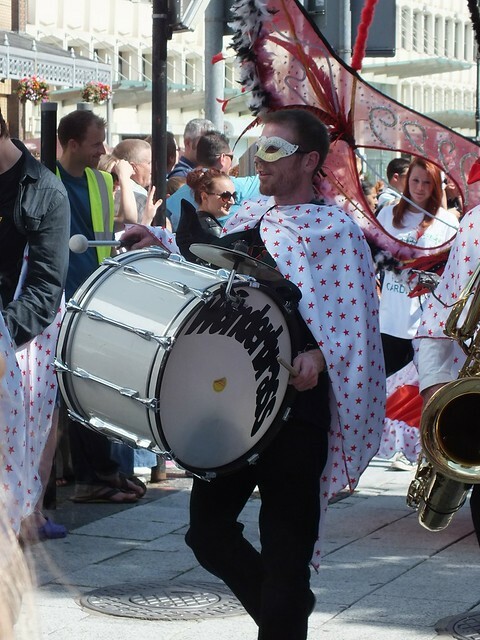 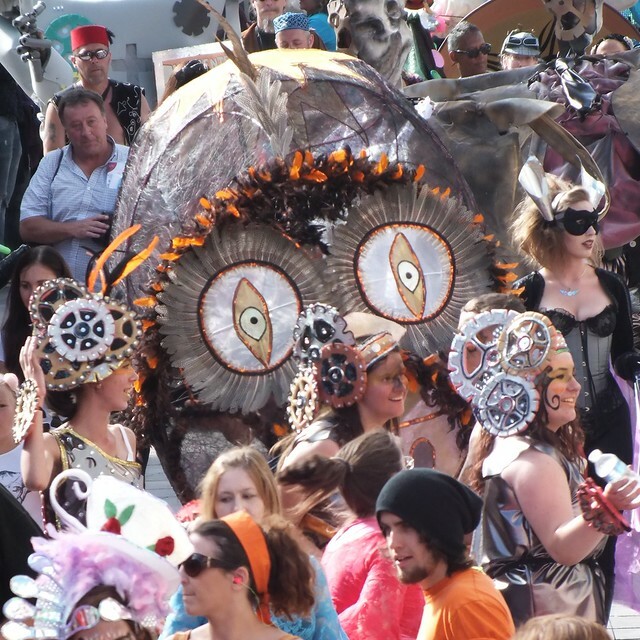 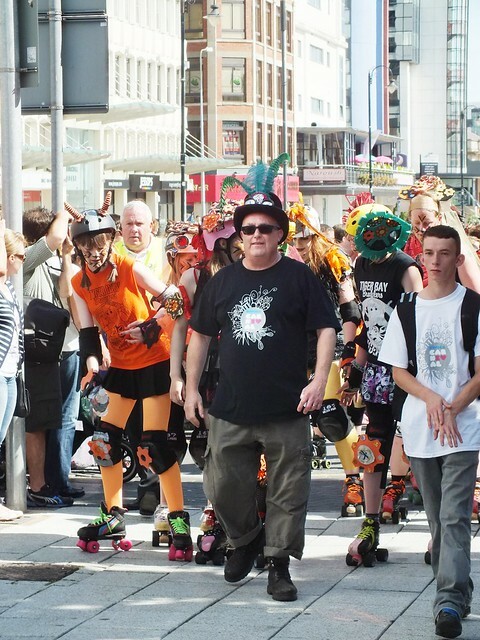 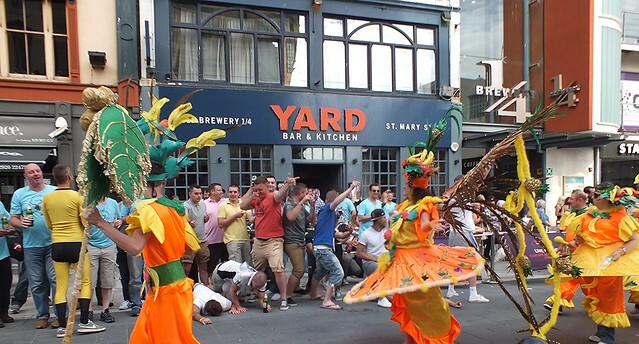 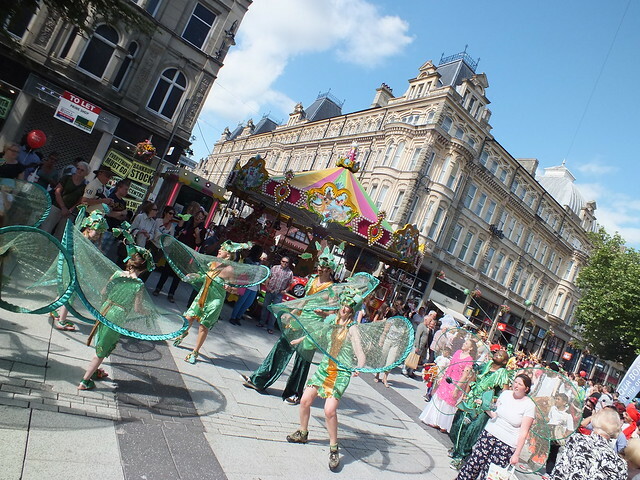 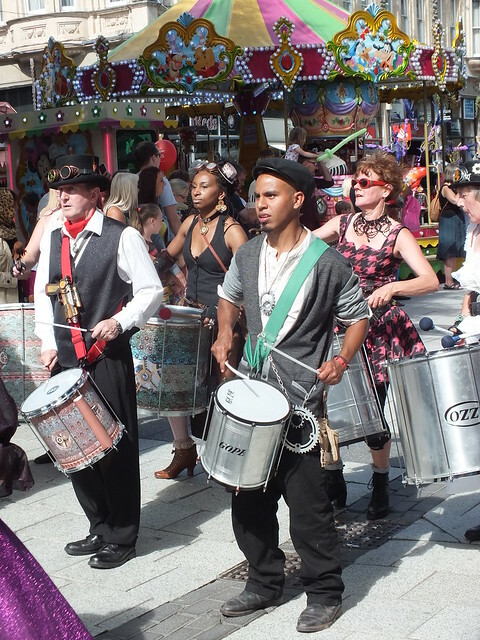 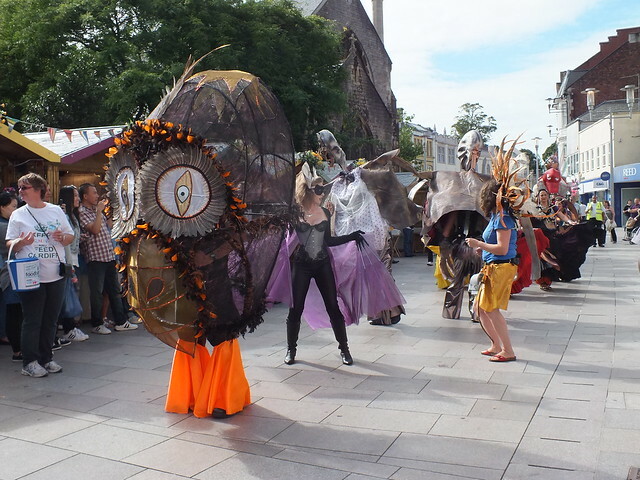 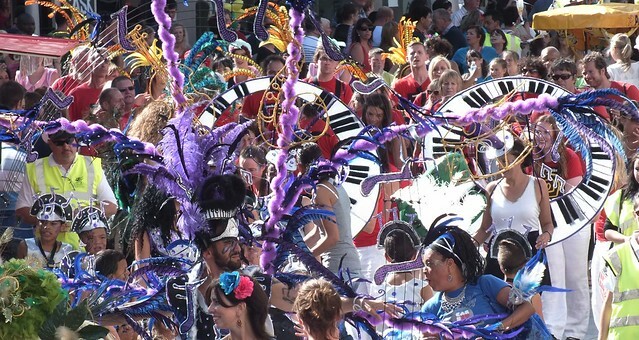 Held as part of the Cardiff Festival, this year’s Carnival was now the highlight of the city’s events due to the previously held ‘Big Weekend’ being cancelled due to financial cut-backs from the council. 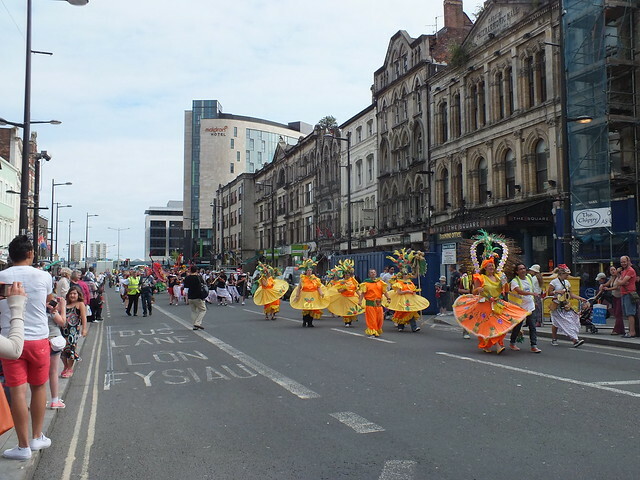 So there did seem much more emphasis and promotion on the carnival with the amended route and performers reflecting this. 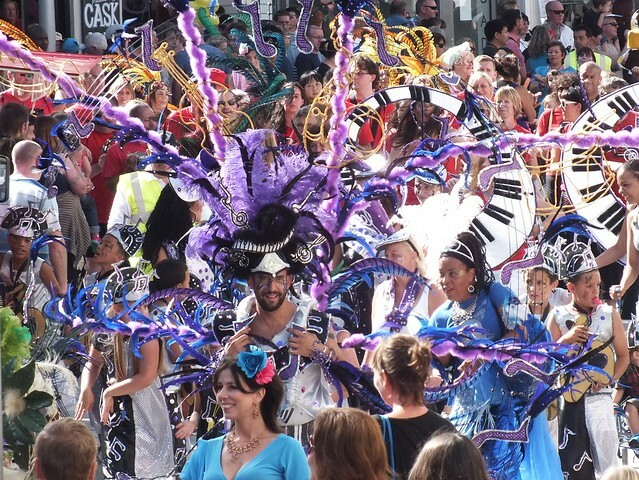 The procession snaked it’s way up Queen Street and past the many thousands of shoppers that stopped to line the route and enjoy the music, colour and dance. 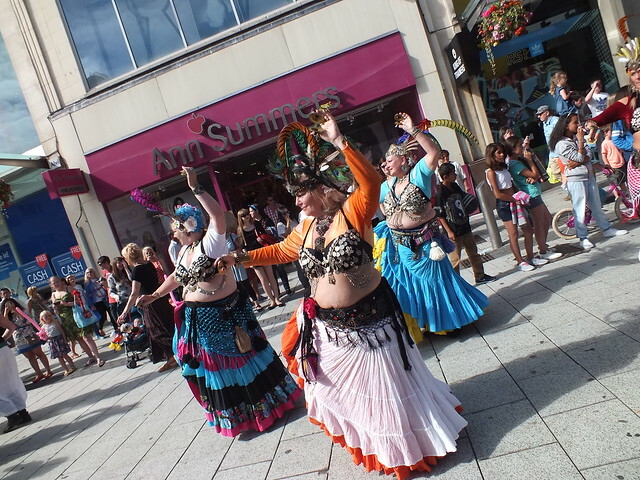 Everyone was moving to the hypnotic rhythms with this bunch of ladies belly dancing to the music! 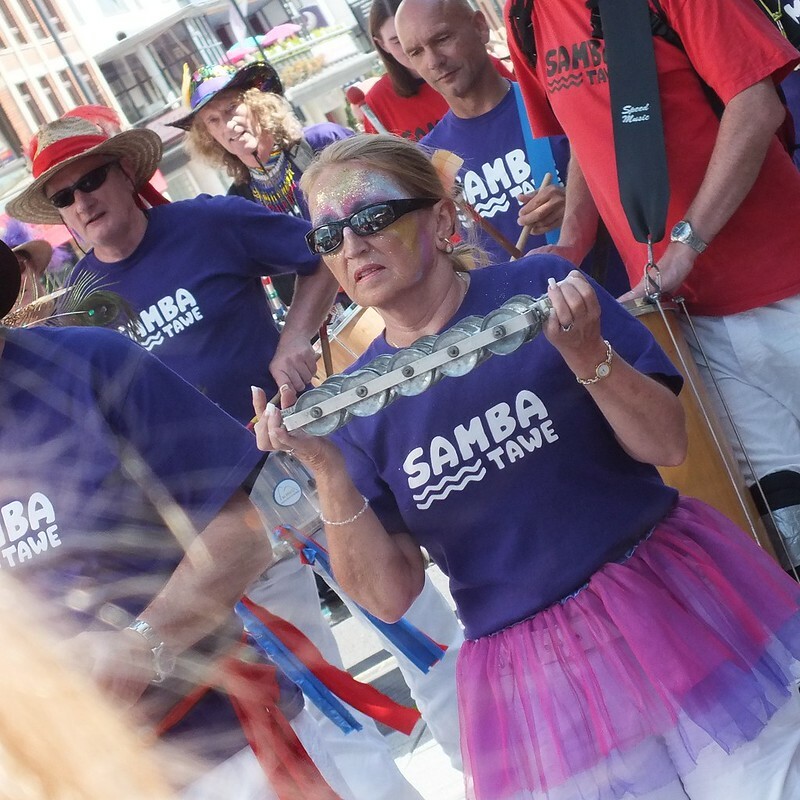 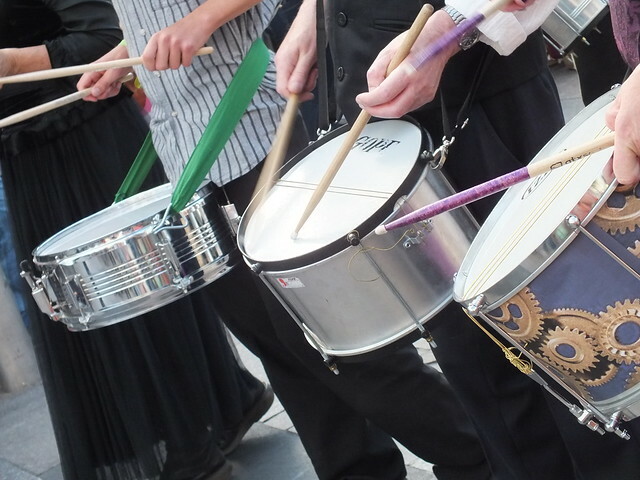 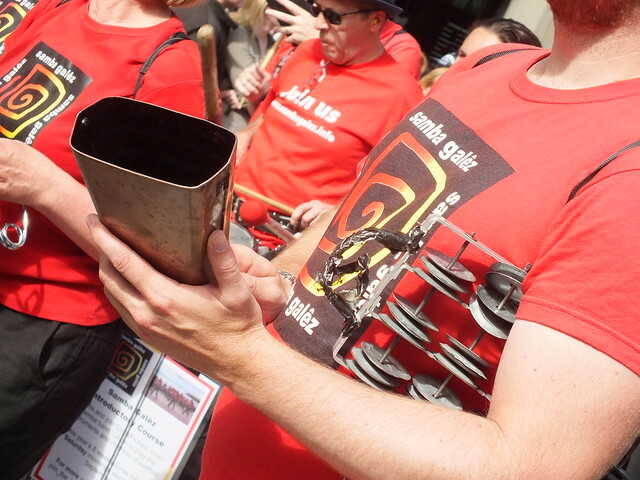 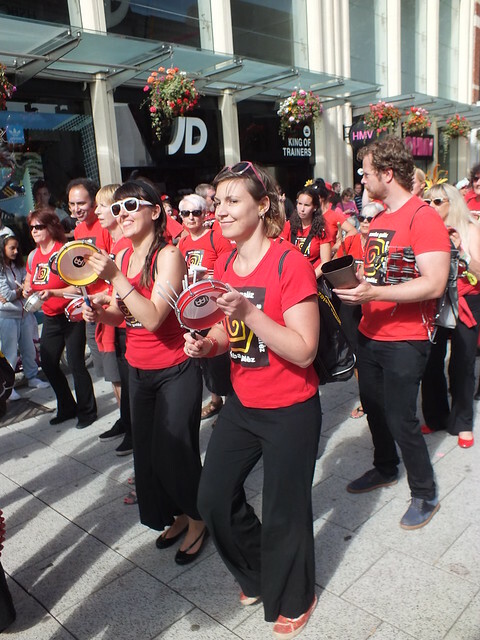 There was also a great array of musical content on display with drummers and percussion playing a big part – oh how summery did they make the city feel!? 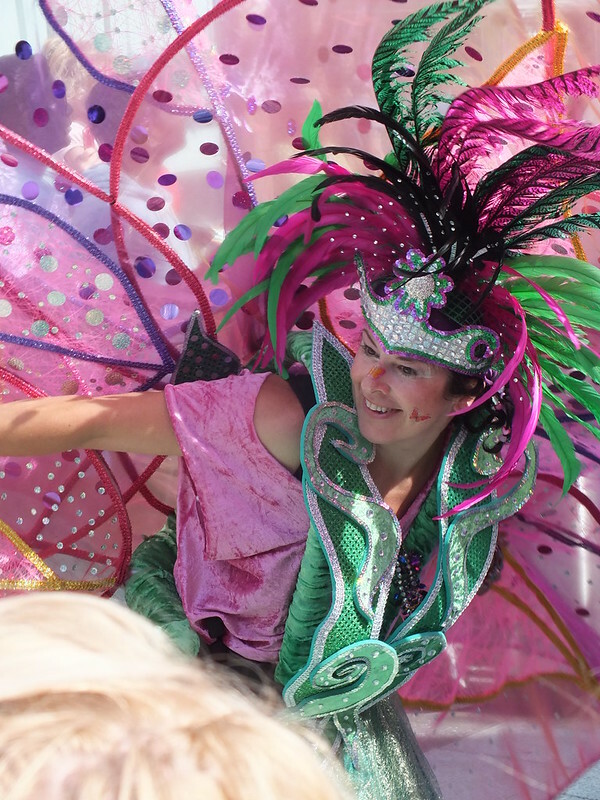 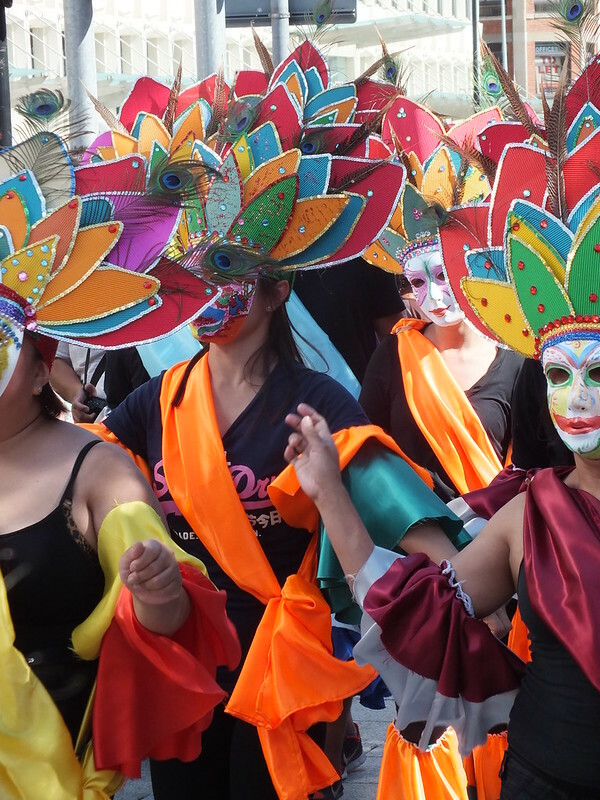 The costumes were the brightest and most colourful I have ever seen – it was obvious how much time and effort had gone into this year’s parade. 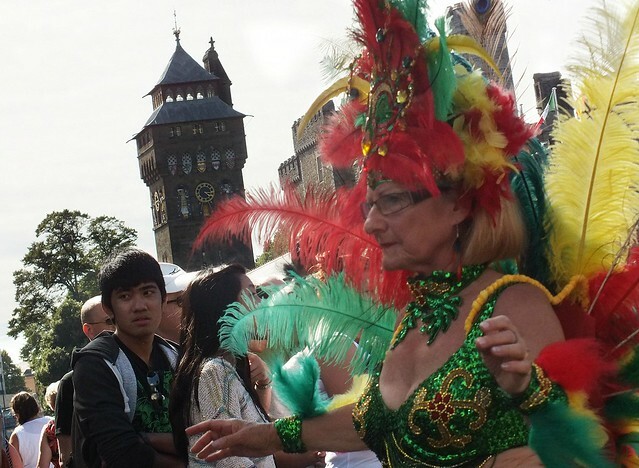 Turning past Cardiff Castle and heading down Working Street and towards The Hayes where the samba rhythms continued, drummers frantically drumming and Wonderbrass playing an array of feel good trumpet tracks! 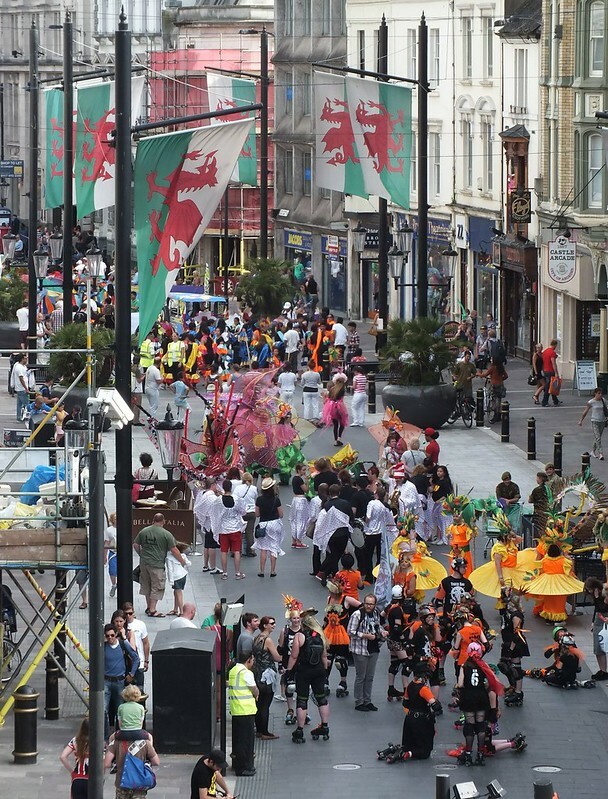 It really was a cacophony of colour and celebration of the wider cultures of South Wales. 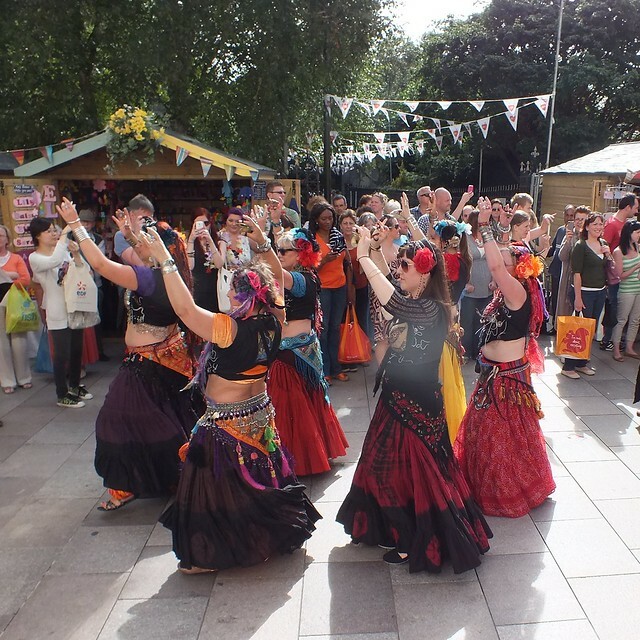 There was representatives from the Filipino and Sikh communities amongst others! 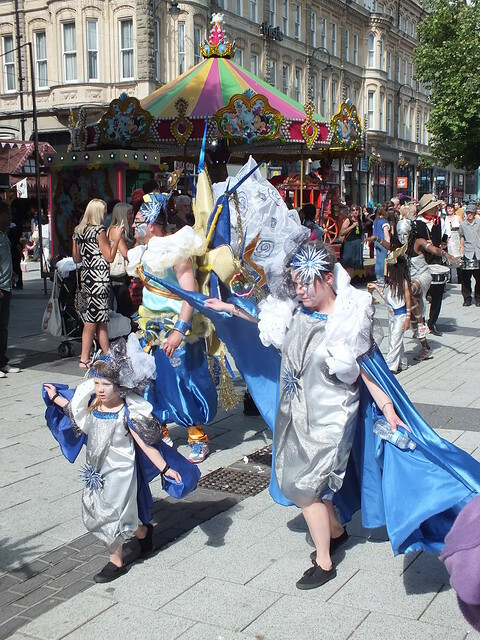 Don't forget the @SWICACarnival on Saturday – @CardiffFoodbank will be doing a bucket collection on parade – please support them! 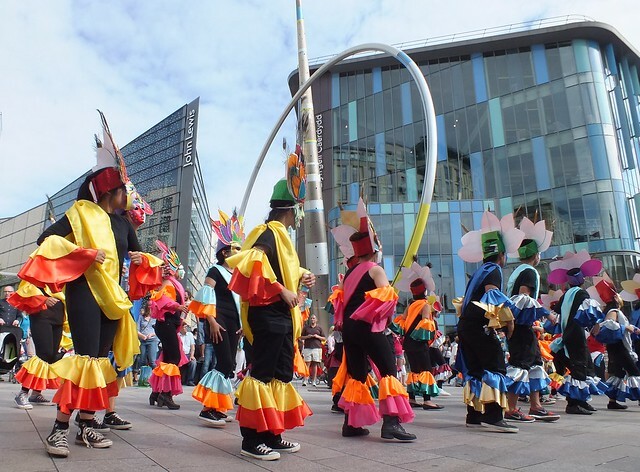 During the day certain performers took to stages setup at Churchill Way and The Hayes to entertain crowds before the official parade set off at 3:30. 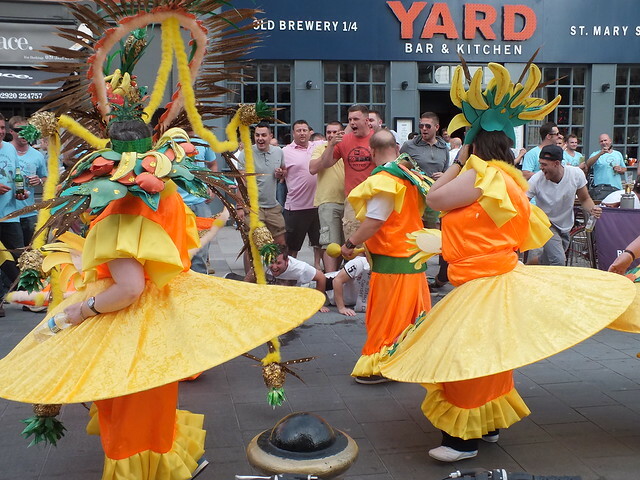 From 5pm onwards there was then a ‘Street Jam’ held on St Mary Street where all the bars brimming with clientele enjoyed the vibes – where some even joined in outside The Yard! 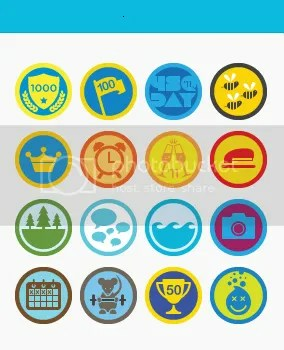 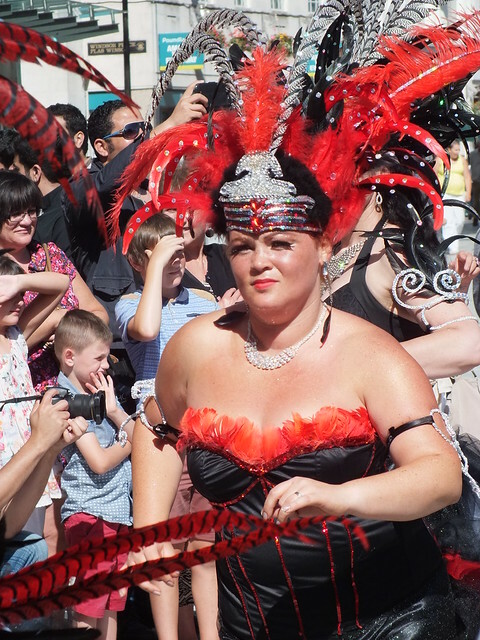 The full set can be viewed by the following link or by pressing play on the slideshow below. 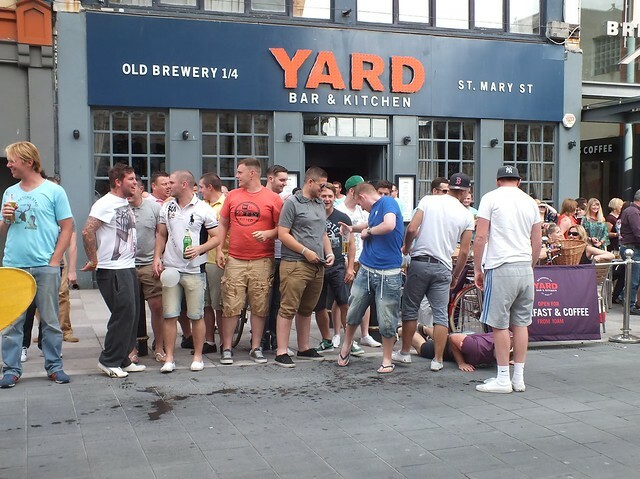 VIDEO – The American’s take on the UK Premier League! 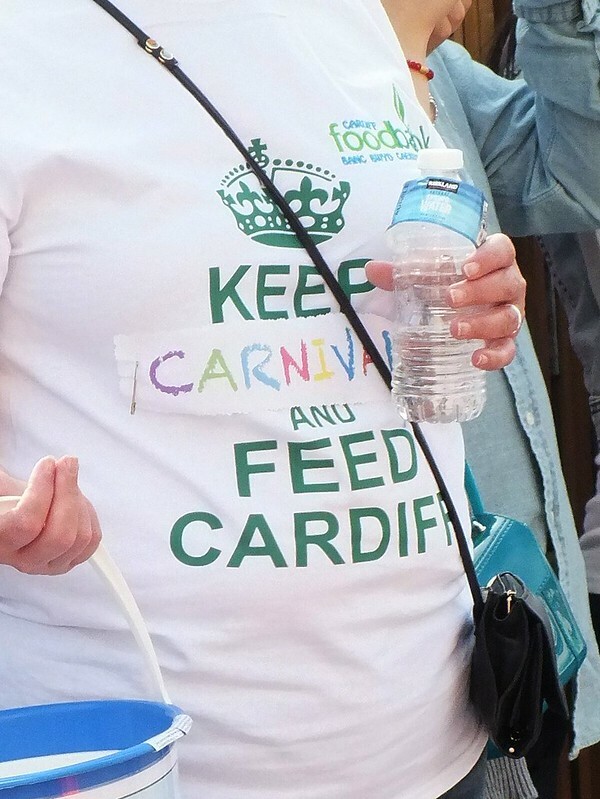 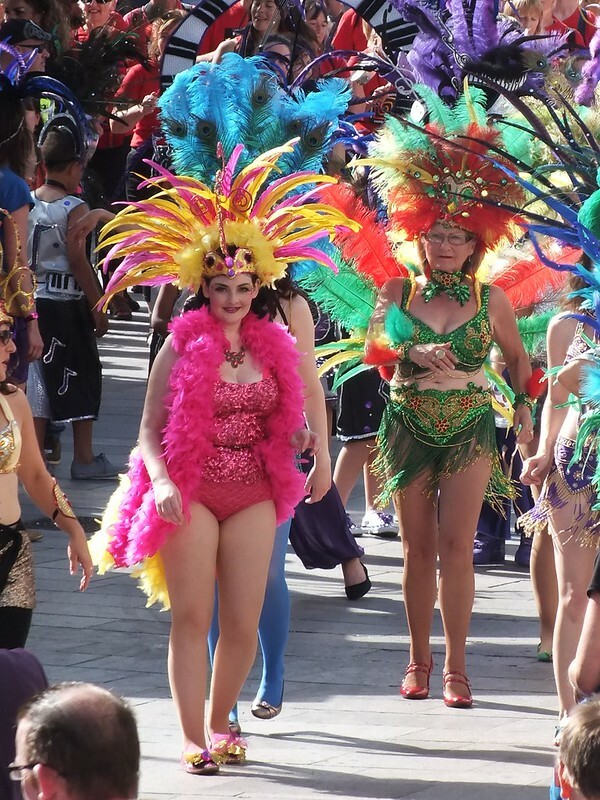 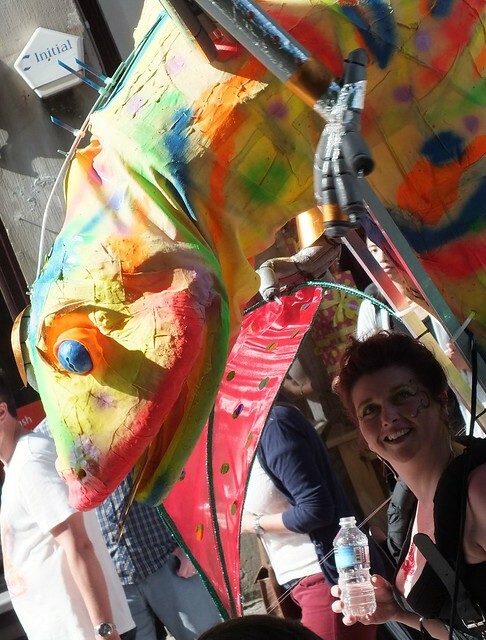 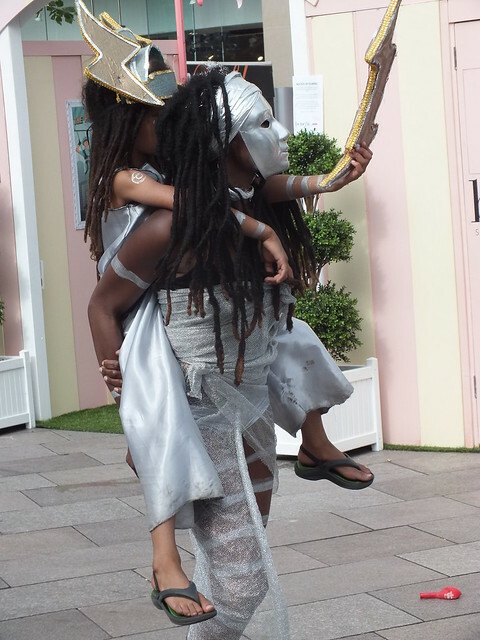 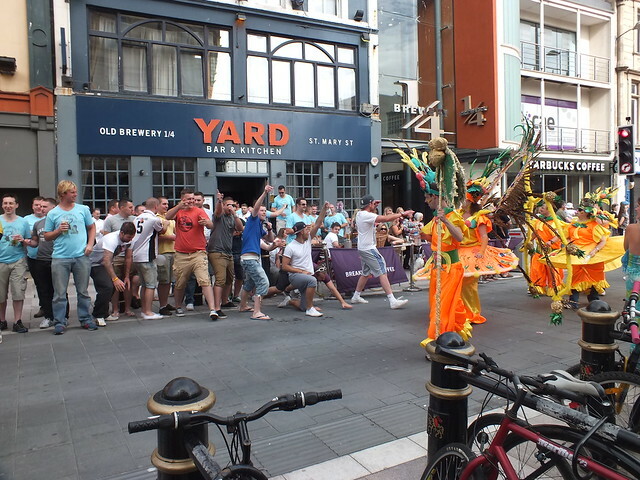 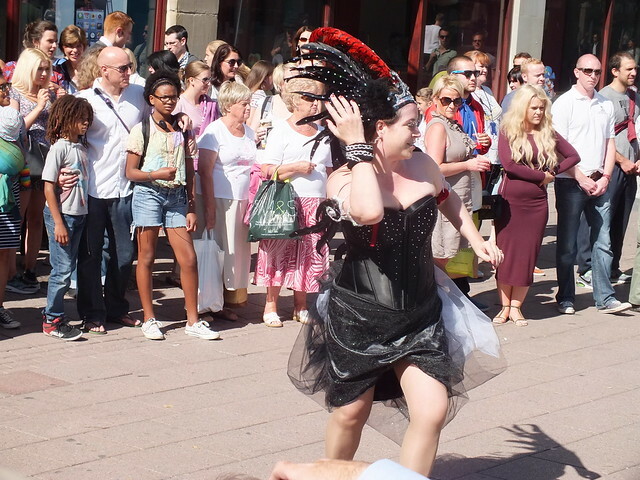 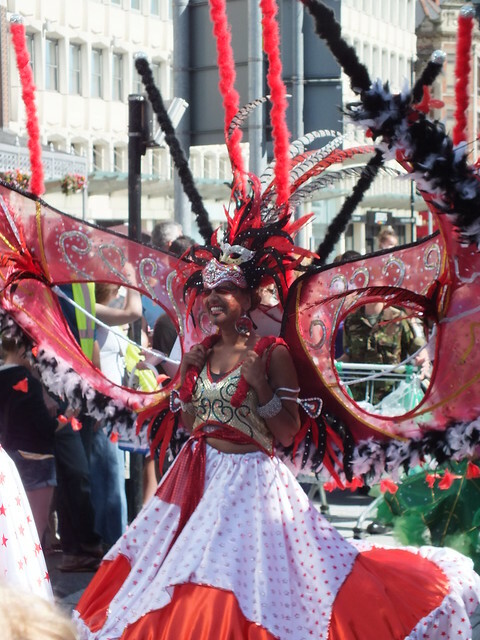 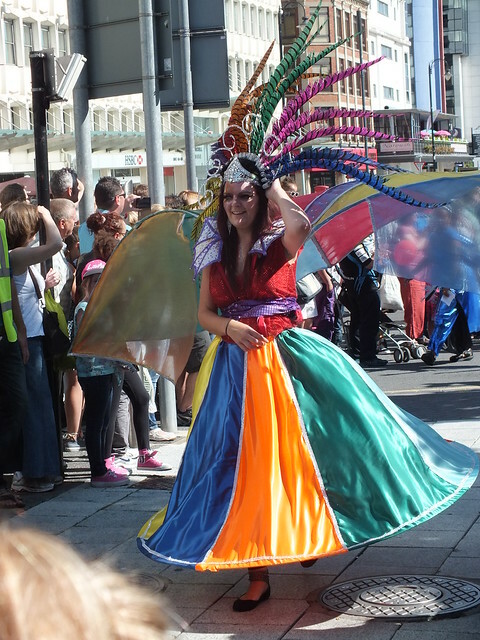 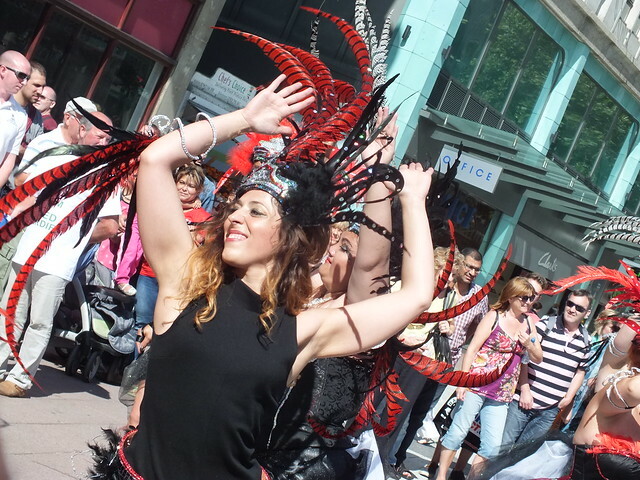 Love your blog on Cardiff Carnival as ever! 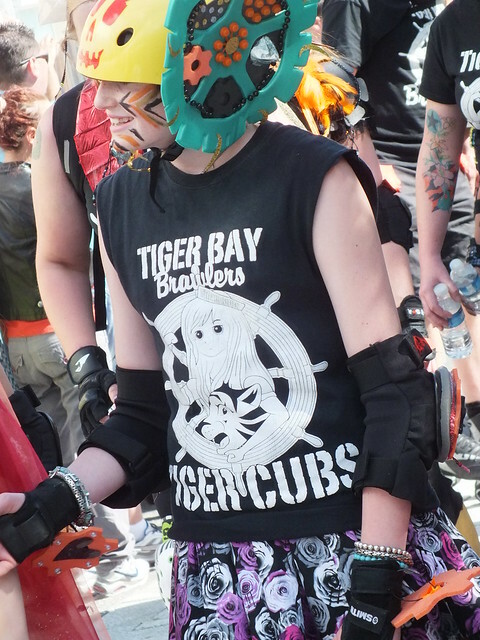 Is it possible to get a copy of your pics on disk please?